The bush meat is chasing the hunter and it has vowed not to relent. 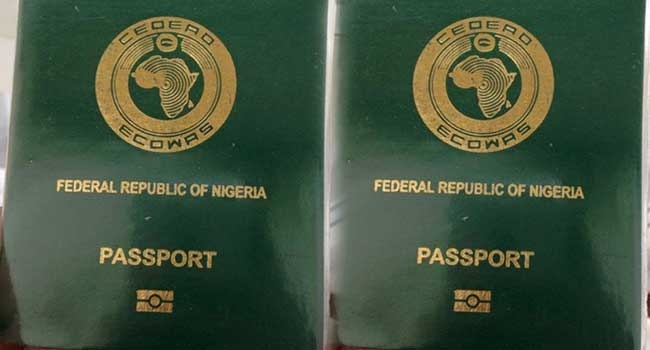 Nigerians, home and abroad, suffering extortion at passport offices may soon heave a sigh of relief. The Nigeria Immigration Service (NIS) has begun investigation into alleged extortion of applicants. The move is a reaction to a viral video of some Nigerians protesting against the alleged extortion by staff at the High Commission in UK. NIS spokesman, Sunday James in a statement, said the protesters alleged that some officials of the High Commission are unduly surcharging them for passport issuance. “It has become necessary to state that payment for passports are done online and so nobody is expected to come to the High Commission with cash, let alone any case of extortion. He advised Nigerian passport applicants in UK and other parts of the world to formally report any form of extortion through immigrationspro@gmail.com, nis.servicom@nigeriaimmigration.gov.ng or call +2347080607900.